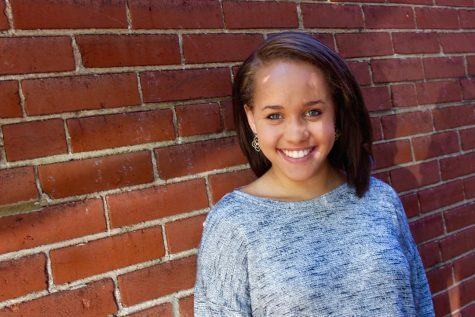 Camille is a senior at Clayton High School and has spent her time at CHS calling the Globe office her second home. She has a deep passion for journalism and enjoys the challenge and responsibility of being editor-in-chief. In addition to her position on the Globe, Camille is co-president of Green Club, a LinkCrew leader, member of the Girls’ Lacrosse team and Community Service Club. Outside of school, Camille enjoys going on walks with her mom in Forest Park, reading, and watching Gilmore Girls on Netflix with her cat, Lanny. Camille loves everything about the Globe: coming up with story ideas, going to interviews, writing and editing stories, mentoring staff members and spending free periods in the Globe office. Her favorite part of being on staff is that she is able to have so many intelligent, kind, and inquisitive people to work with who all share a similar passion for journalism and the Globe.